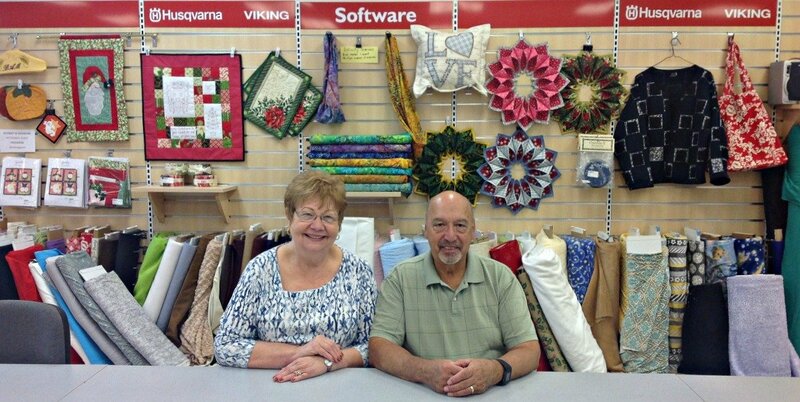 After sending her sewing students to another shop to buy their machines, Barb Marcukaitis (B & J’s owner), decided it would be more beneficial to add a full line of sewing machines to her own store inventory. In 1998, Barb moved the business to its current location, at 616 S. Main St., where she broadened her product range to include an extensive selection of fabrics and quilting notions, as well as providing professional long arm quilting services. B & J is in the business of preserving and cultivating the art of sewing with the industry’s most innovative products and sewing technologies. That’s why we’re proud to be an authorized dealer for the Husqvarna Viking and Pfaff brands. No matter your age or skill level, our shop offers something for everyone. Our friendly staff members are always on hand to offer personalized service, expert product knowledge, and ongoing support to help you succeed at sewing and quilting!